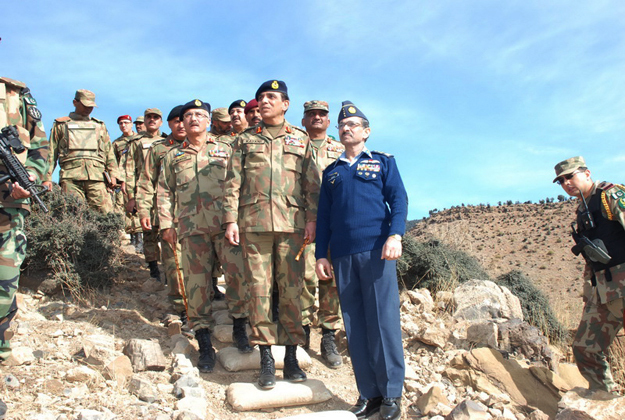 Take a look back at major operat­ions launch­ed by the Pakist­an Army in the last 10 years. KARACHI: As the army launches arguably its toughest operation yet against militants in the country’s restive tribal region, The Express Tribune takes a look back at previous major operations launched to root out militancy in the past 10 years. The first phase of Operation Rah-e-Haq commenced in November 2007 in collaboration with local police against Tehreek-e-Nafaz-e-Shariat-e-Mohammadi (TNSM) in Swat Valley. However, the militants gradually infiltrated into key cities. The second phase of operation began in July 2008 and continued throughout the year. The operation resulted in the death of 36 security personnel, nine civilians and 615 militants. The third phase of the operation was launched in January 2009. 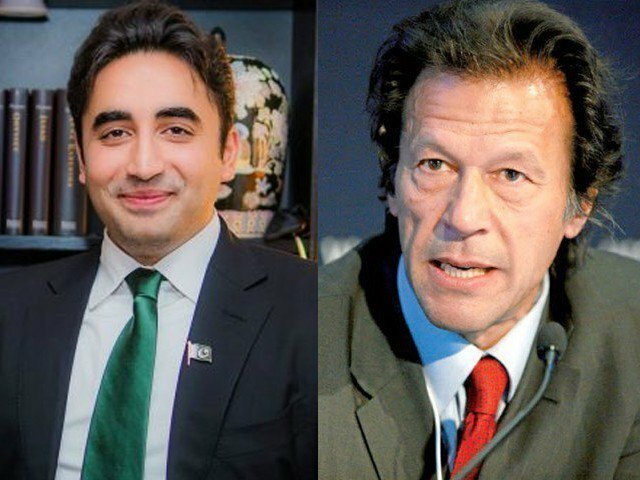 The operation ended after a peace accord, known as Malakand Accord, was signed between the government and TNSM. 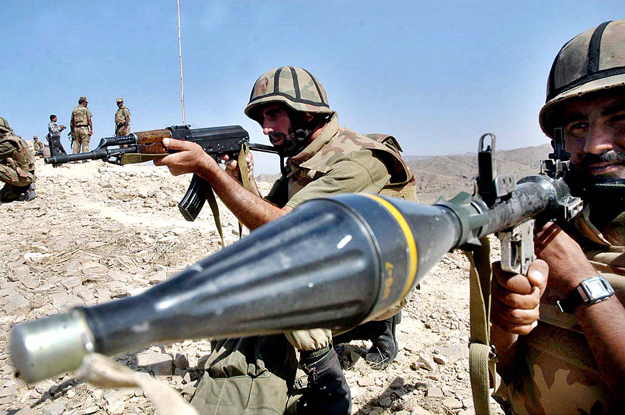 The Pakistan Army launched Operation Sher Dil on September 9, 2008, in Bajaur Agency, to “target all the militant groups that threatened the security of Pakistan.” By early December, over 1,000 militants and 63 security personnel had been killed. In May 2009, Pakistan launched another operation in Swat after the accord failed to ensure peace in the region. 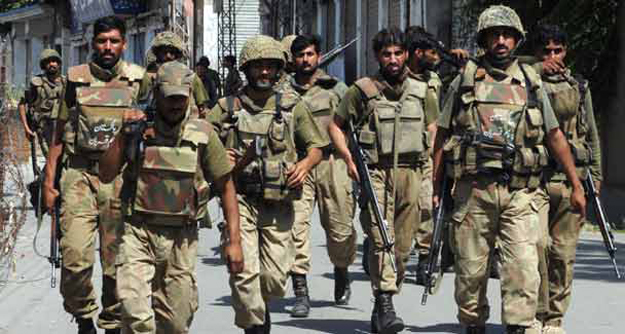 A major offensive took place in Mingora in the last week of May. By end May, the army had regained control of Mingora. In October 2009, the army launched an offensive against militants in South Waziristan with support from gunship helicopters and aircraft. 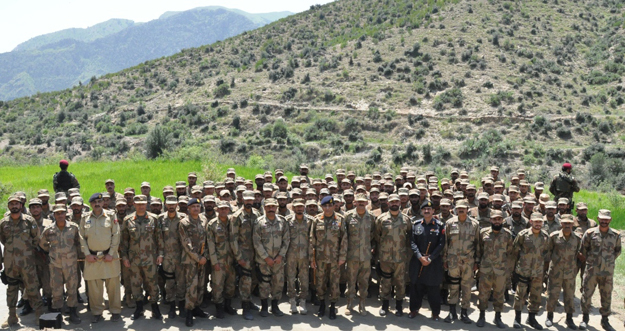 The major objective of the operation was to destroy militant strongholds in South Waziristan. On July 4, 2011, the military launched its offensive against militants in Kurram agency, located within the Federally Administered Tribal Areas (Fata). 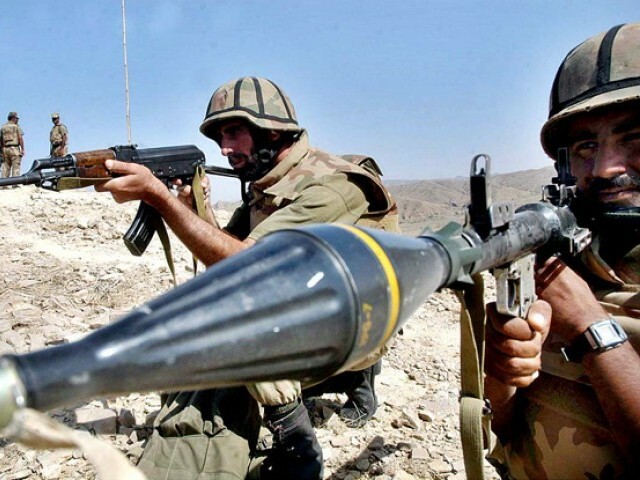 Operation Koh-e-Sufaid (White Mountain) targeted militants in Kurram with the principle objective of securing and reopening the Thall-Parachinar road, which had come under repeated attacks by Sunni militants. The second blast took place while the rescue operation for the first explosion was ongoing. Officials and locals claim families and foreign fighters are crossing the border into Afghanistan.